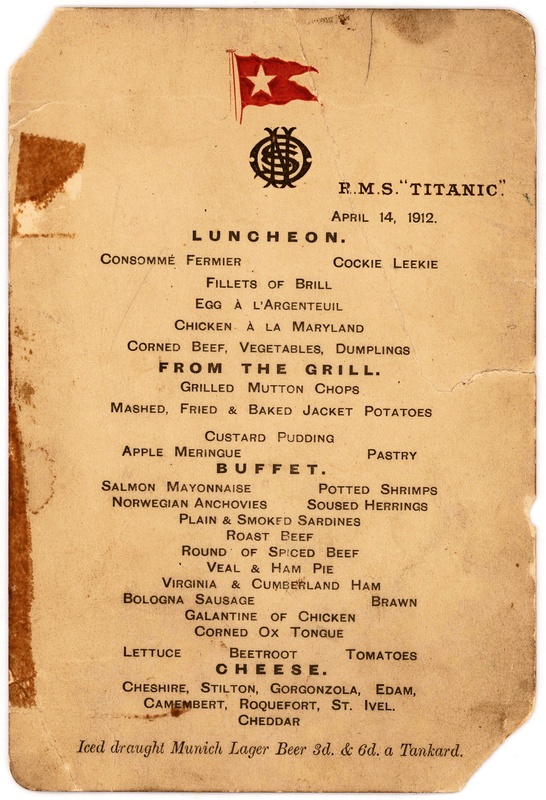 A couple of rare Titanic items are up for auction:a ticket from the Turkish bath, a lunch menu, and a letter written six months after the disaster by Lady Duff Gordon’s secretary. The auction for these items is at Lion Heart Autographs in New York on 30 September. 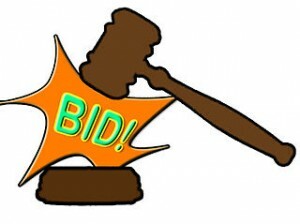 Bids are being accepted online. Titanic Lunch Menu 14 April 1912. Lion Heart Autographs of New York is auctioning off a rare Titanic lunch menu and other artifacts on 30 Sep 2015. The menu is signed in pencil by first class passenger Isaac Gerald Frauenthal. A ticket from the weighing chair in the Turkish baths and a letter written by survivor Mabel Francatelli to Abraham Lincoln Salomon are also being auctioned at the same time. The menu is expected to fetch between $50,000-$70,000, the ticket $7500-$10,000, and the letter $4,000-$6,000. Titanic II or Titanic III? Maritime Executive reports on the new time frame for Titanic II but looks at the Chinese replica being built in China as another possibility for Titanic enthusiasts. The article does not add anything new about Titanic II or the Chinese replica but sort of raises the question as to which one would you rather experience. Assuming of course if Palmer’s Titanic II ever gets built. Michel Navaratil, who perished when Titanic sank but got his two sons into lifeboats,is being remembered as part of a Titanic exhibition in Bratislava, Slovakia. Navratil was born in Sered’ in 1880 and left for France at age 20. There he met Marcella Caretto with whom he had two sons: Michel and Edmond. After learning his wife had cheated on him, he decided to take his sons to the United States. Sadly he never made it but his kids survived causing a worldwide search for his relatives. Ultimately their mother found about them and they returned to France. The exhibition runs until 6 Dec 2015. One of the raging controversies that divides (and still divides)the Titanic community was salvage. 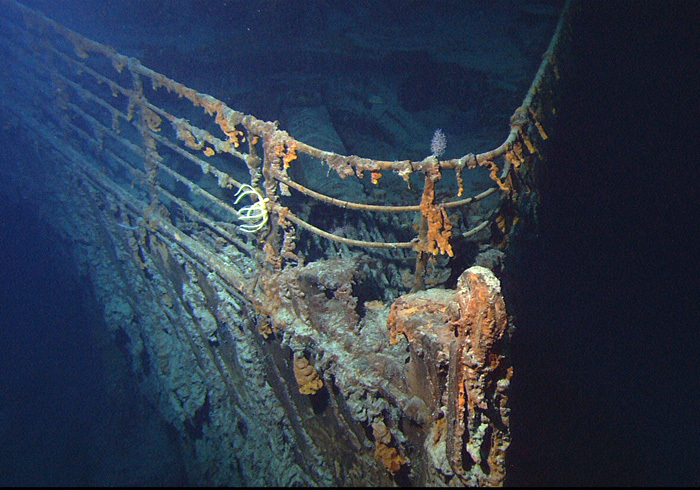 When Titanic was found in 1985, two miles down and in international waters, it meant no country could claim it within their borders. 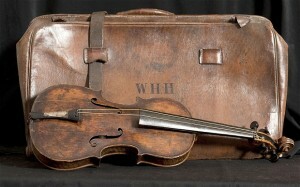 A company called RMS Titanic Inc (now part of Premier Exhibitions)went out and brought up some artifacts. It then went to federal court in the United States (in the United States the federal courts have original jurisdiction on maritime claims)and made a salvage claim. Since they had actual artifacts and the company that once owned the ship is gone (technically it became part of Cunard but it made no attempt to exert any legal claim on the wreck), they were awarded salvor-in-possession. 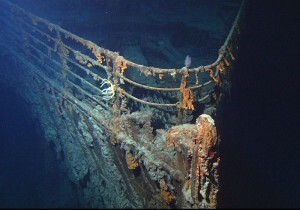 One insurance company (which paid money out on a claim when Titanic sank)reached a settlement with RMS Titanic, Inc. The rest, as it is said, is history and the artifacts brought up now comprise Titanic:The Artifact Exhibition. There was a brief tourist business in having people dive to the wreck. It was hideously expensive and there was some minor legal kerfuffle by RMS Titanic Inc to stop it (they lost). But that has pretty much died away. The wreck itself, like all wrecks, is being slowly eaten up by the sea (microbes and other organisms)and will be nothing more in a decade or more. Hardly anyone dives to it anymore. 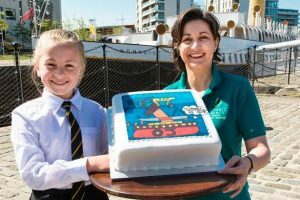 RMS Titanic Inc gave up its salvage claim and has been trying–unsuccessfully so far–in selling the Titanic collection. Now word comes Canada wants an exception to its claim of territory so it can claim the wreck as being in its waters. Huh? This makes no sense at all except as a publicity stunt. The wreck is disintegrating, some say accelerated by the diving down to it by salvagers and tourists. It might have made sense way long ago but it is far too late to make any difference now. It sounds nice though, from the government point-of-view, that we are taking steps to preserve the final moments of this disintegrating wreck. Too bad no one asks the obvious question why they waited till 2015 when they could have tried it back in 1985.